This post is for the ladies! Men, nothing here to see, move on now. Ladies, I want to introduce you to something that changed my life for the better. What if I told you there is an alternative to conventional feminine care products that saves you lots of money and contains no toxic chemicals? It's more comfortable than tampons or pads, can be worn up to 12 hours, and is made in the USA. SckoonCup is all of the above! At first I tried a different brand menstrual cup a few years ago that was made out of natural rubber, and while I enjoyed saving money, it felt much too rigid and I has issues with leaking, so I needed backup. Fast forward to three months ago when I received a SckoonCup, I love that it's made of soft and flexible medical-grade silicone! Squishy, folds easily, and you literally cannot feel it at all when it's in. With the previous cup I had, it took me about 4 months to get used to and figure out how to put it in correctly. It was rigid and hard to fold. It took me two cycles to get the hang of SckoonCup primarily because I was inserting at the wrong angle during the first cycle. Now it's easy and second nature! The directions on the insert help immensely, make sure to read it. Thankfully being pregnant and breastfeeding gave me a whole five years without menstruation, but now the size 2 SckoonCup is perfect for those not-so-fun days. I love that I don't have to run to the store to buy anything like bleached feminine care full of dioxins and toxic fragrances! I really like the smooth outer curve of SckoonCup as well as the fact it's made from medical grade silicone, not to mention it's actually cute! I always carry the little pouch in my purse, just in case. Oh, and love, love, love that it doesn't come from China and is made right here in the good ol' US of A. So far I've never run into a situation where I've had to change empty a SckoonCup in a public restroom, I love that it can be worn up to 12 hours - it's worth its weight in gold for a female wedding photographer! 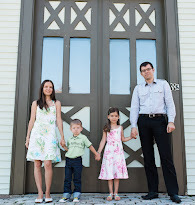 Shooting a photo session or a wedding I can't exactly run to the bathroom at the end of the ceremony - I've got group photos and bridal photos to photograph, every moment counts! SckoonCup is absolutely perfect for that. It gives me the time I otherwise would have to scramble to find a restroom. Along with my roll-with-the-punches attitude, it enables me to give couples the best experience on their wedding day - and nobody has to know about it! It's my little secret! SckoonCup comes in two sizes, for those who have never given birth and those that have given birth vaginally. 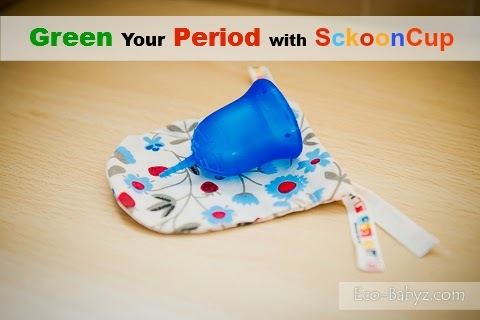 Sckoon also offers organic cotton cloth pads for any backup needs or if you like to have a reusable alternative. So what are you waiting for?! You've got to try SckoonCup - I think you'll love it and your new-found freedom! Get a 10% discount when you use our referral code VYBUMR. Connect with SckoonCup on their social media accounts! Disclosure: Thank you to SckoonCup for providing samples of the products mentioned in this post. I was selected for this opportunity as a member of the Green Moms Network, and the content and opinions expressed here are 100% my own. May contain affiliate links, your purchase helps offset the time and energy we pour into this website at no cost to you!